Today Dorney Park and Wildwater Kingdom announced their big 2014 project. Major expansions are coming to Wildwater Kingdom in the form of a massive slide tower which will feature 6 new slides and the catchy name of "Snake Pit". This new slide tower will feature a series of slides. The first is a series spiral slides called 'Boa Blasters' which will have turning twists on 325 feet of slide. A single slide series of tube slides called 'Constrictor' which will use single and double tubes, down a series of hills. It's 449 feet long with a height of 50 feet and a 360 degree turn. 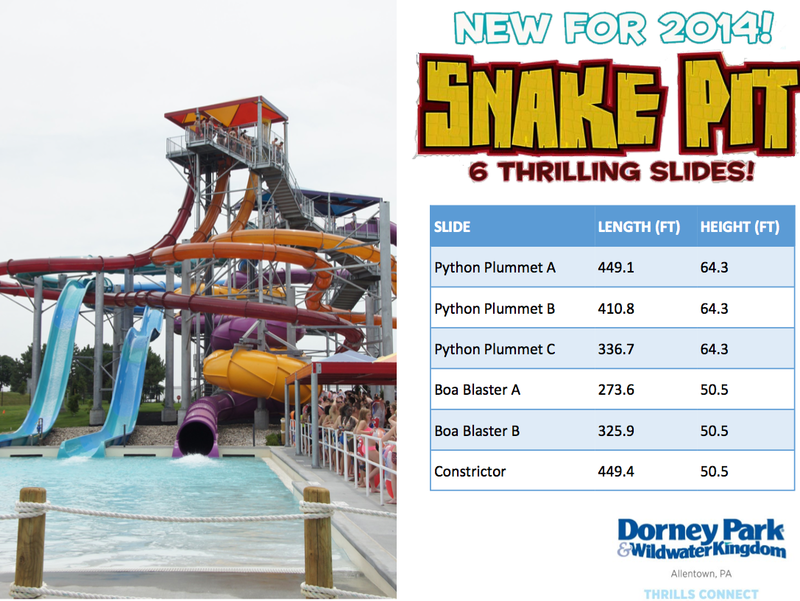 The most impressive set of slides are called 'Python Plummet' which is a count-down slide. Enclosed in a tube, your counted down then dropped into a steep incline of slide. 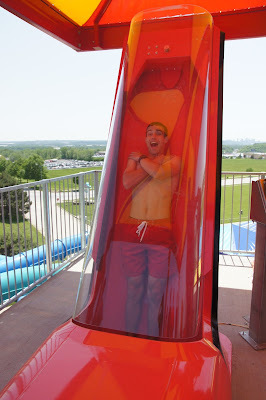 It is also the tallest point of the 'Snake Pit' addition at 65' tall on the six story slide tower. With the addition of 'Snake Pit' Wildwater Kingdom will total 26 slides, two wave pools and two lazy rivers. In addition to the big Wildwater Kingdom news today, Dorney Park isn't left out either. Returning to the park in 2014 the "All Wheel Sport Show" will return to the 'Good Time Theater'. In the press release they state the show will feature special effects along side bikers, skaters, aerialists and gymnasts who will be performing gravity-defying stunts. The show is reported to be "High Energy and High Thrill" by the parks VP and GM, Michael Fehnel. Big Shiny New Slide Tower with 6 new slides. Dorney gets "All Wheel Sport Show" to their 'Good Time Theater".